I've yet to meet a person who has not dealt with the challenge of living in a small rental space at some point. Everyone knows what it's like. 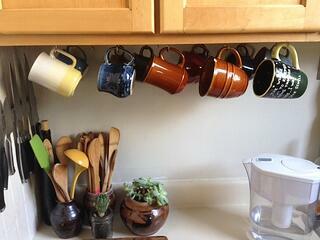 Small rental apartments tend to feel stuffy, cluttered, and sometimes unliveable. You may find yourself easily frustrated, stressed, or anxious. Those are not emotions military families should be feeling because of our living space! We have enough factors in our lives that add stress, anxiety, and sleepless nights. Our homes, small as they may be, should be our oasis, our sanctuary, our place of peace. We just have to get a little creative, since it IS a rental after all. Here are 5 tips for making your small rental apartment your home without breaking your landlord's terms with permanent changes. 1) Analyze your space before moving anything in. Since your space is so tight, you must be very intentional about what you bring in and how you arrange it. If you can live without it, toss it or pass it on. When my husband and I moved into our rental room last May, we started with the bare essentials. 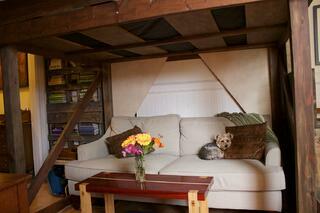 Once we became more comfortable with our space, we were able to bring more things in. It is much easier and less stressful to start with less and increase than to accomplish the opposite. 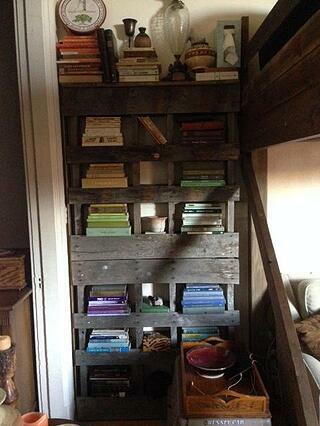 You probably do not have room for a desk, bookshelves, and extra cabinets, so consolidate them! My brother lives in a small apartment in the heart of San Francisco. In order to make their space work, he and his wife chose to purchase a hutch. 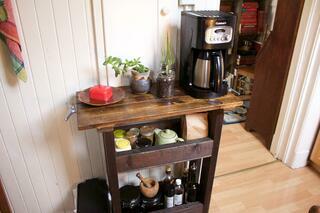 For them, the small hutch is a bar, writing desk, bookshelf, and storage cabinet all in one. You can also buy pieces with built-in storage space such as an ottoman or bed to make your essential pieces even more practical. Create more space in a room by mounting your TV and utilize taller, shallower storage pieces and bookshelves. 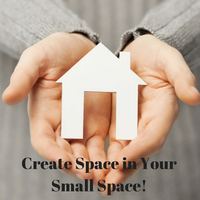 By doing this, you're able to create more floor space which will make your home appear larger. Many people have already started using them, but pallets make really good shallow shelving--perfect for displaying things. 4) Create and maintain an organization system. Organization happens if everything has a home. It is far more difficult to accomplish organization in small homes because there is limited space to store your things, which is why you must get creative. If you're running out of storage in your home, think about alternative storage options. For example, your coffee mugs, decorative dishes, and cookware can be hung under cabinets or on the wall as fellow MBO writer Dawn Smith suggests in her article, How to Create More Storage in Your Home. The challenge of living comfortably in a small home continues even after move-in day. It's important to reevaluate your belongings every few months. If you have not used an item in those few months, it's probably time to say good-bye. This is not the time to hang onto items you think might be useful at the next duty station. If you're not using it now, toss and then replace later if you find you actually need it. Ask yourself the four essential questions I shared in How to Sort Your Belongings Before PCS: 4 Essential Questions if you need extra help deciding what needs to go. Renting the ideal place each time we PCS is not always an option, as much as we'd like our "dream home" everywhere we live! Small homes are especially challenging to settle into. However, with these 5 tips, my hope is that you can make your little space feel like you. 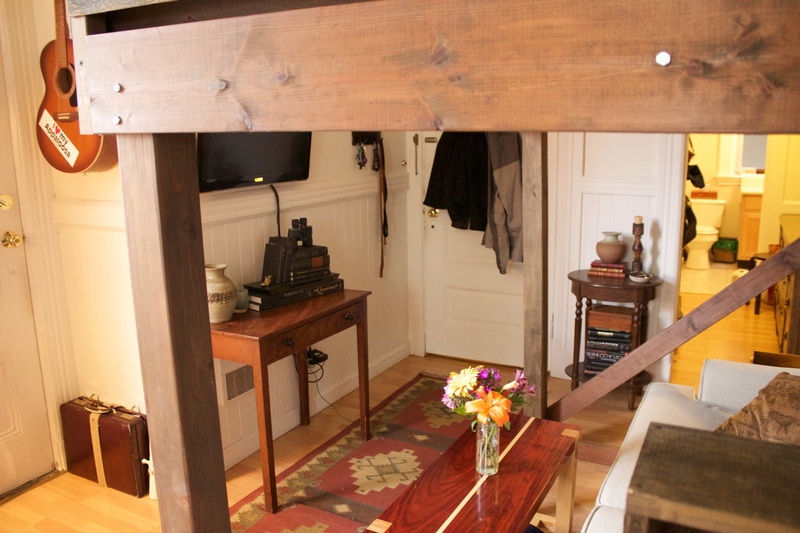 Need more tips for making space in your small place? Click below! Photos courtesy Austin Sailors. Used with permission.